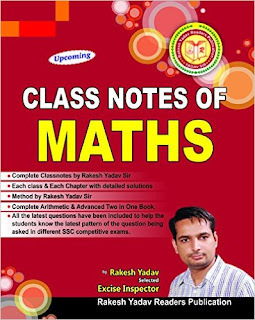 This is a handwritten book by a student of Rakesh Sir, which was bundled with a book. This is a worth buying book for a serious aspirant of SSC CGL/ CPO and CHSL. In this book, you will get all short tricks of Math (Arithmetic + Advanced) for SSC exams. This book is only helpful for you if your basic is clear as in this you cannot find any explanation. But if your basic concepts of math are clear then this is very helpful for you.